How was your Halloween weekend? Are you all candied out or do you have room for just one more sweet pumpkin treat? 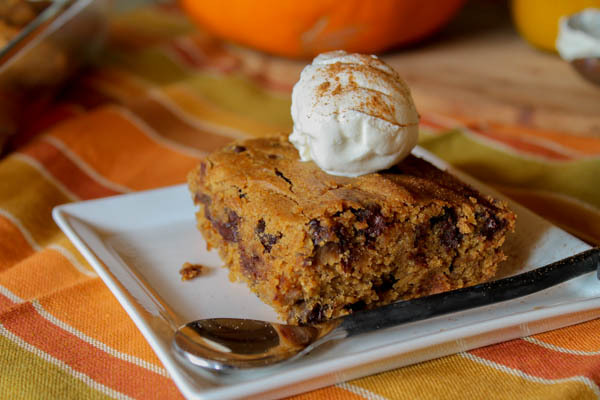 Because today’s featured post is from Tessa the Domestic Diva and her recipe for Pumpkin Blondies. Can you go hop over and tell her how yummy that looks?! Thanks so much for hosting! I shared a Coconut Raspberry Vanilla Smoothie with Kombucha ... it's full of good-for-you probiotics + it has an extra nourishing boost with some cold-soluable collagen. Thanks for the feature Aubrey! Thanks for hosting this week I am sharing vegan and gluten free fall pumpkin chia bowls.